Cons: Even though it has rich features but it can support the Enterprise BI needs like business object or Cognos does. It does not provide all the feature for E L T (extraction, load and transform) which requires complex transactions. As data gets huge the graphs and charts become unreadable. also, this software is more useful to the business user for personal purpose than company wide reporting etc. The administration part of it needs a lot. Pros: Tableau is exceptionally easy to pick up and be productive, and has the ability to connect to almost any data source you can imagine, including REST APIs (though this is a pretty advanced process). Cons: Price is an issue, particularly if you're an individual or a small business. Woe be unto you if you're a small business and you'd like to set up a Tableau server. Overall: Tableau and especially Tableau server has helped our business share data much more efficiently and accurately than the old method of emailing spreadsheets and presentations around. The ability for anyone to manipulate the data and answer their own questions allows analysts to concentrate on the truly difficult and unique problems instead of cranking out a never-ending series of custom reports. Having the data connected to live source or warehoused data means everyone is up to date all the time. Pros: I love Tableau because, to me, there is almost nothing else out there that does data visualization so quickly and so effectively. I love that you can import almost any kind of data source (I only use SQL or Excel as sources, but there are hundreds of other options). I love that you can then add your own calculated fields, group data into custom buckets, and create parameters which the user can input on the published workbook. I love that you can visualize the data so quickly and in so many ways (with color and shape/size as further attributes). It's like a pivot chart in Excel but so much more agile to use! Finally, I love that you can then build dashboards with these individual reports/worksheets that you create, publish them onto the web, and essentially "set it and forget it," thereby providing your end users with future reporting that is automatic and requires no further work on your end! The real beauty is the creation of alerts and subscriptions, which can email users on a schedule or depending on certain conditions. That's when life really gets exciting--it's like having a full-time robot managing your processes! Cons: I definitely wish Tableau could write back to a database. That would be amazing. I've heard it's in the works, but for now, it's still just on my wish list. I dislike various aspects about Tableau that can make it quite tricky to use. When you publish a data source, you should really publish it first before creating any calculated fields, groups, or parameters. Otherwise, it becomes much more difficult to edit these fields later as you have to re-download the published data source to make your edits to those fields, and then republish your data source, which results in my having to ask IT to re-input the server refresh password to get the data to refresh on a schedule again. This is a tremendous headache. So it's best to create and save new fields at the workbook level, not the data source level. There are also a great many bugs I still run into with Tableau from time to time. Strange behaviors that show me it was created by a human being, as all software is. There is usually a way to figure out a workaround but you have to get creative. Tableau is quirky, for sure. Some actions in the local program work great but don't necessarily translate to the web form. For example, if you create a calculated field that depends on data from two different sources, that works great locally, but it doesn't work well once you publish those data sources to the Tableau Server, because, for some reason, it does not allow the calculation to draw from the separately published data. Overall: Overall, Tableau is a fantastic program for getting automated reports created, published, and off your plate! The visuals are amazing and the subscriptions and alert system are my absolute favorite. The software has its quirks but I've yet to have a problem I couldn't logically program my way around with a little time spent on web forums. Amazing software, very useful, exciting to use! Pros: Tableau is centered around you as a user asking questions to your data. It is as simple as that and it works in ways not imagined before. Via graphical user antierface and drag and drop you combine aspects of your data and visualize relations. The coolest thing is that Tableau supports you without pushing or distracting. The process is emergent and makes it possible to walk the line from coherence to causality and have fun along the way. The End results look great and can be reformated by a couple of clicks in order to shift perspective or look from a different angle or with a different point of interest towards your findings. Tableu picks you up where you are and you can run it as SAAS or on premise, depending on your preferences. Also the API is simple and powerful, making the integration as a dedicated reporting and statistcs module, or more precise data visualisation playground to your existing product easy and convenient. By doing so you can add tableaus product-versatility, ease of use and beauty to a product and participate from its user friendly and open aproach to data analysis. Cons: The licensing was a bit of a hassle as we started in the early days of tableau. Also Sales were very eager and pretty actively tried to support us. This never was a bad thing, just a bit too much. Also Tableau introduced support for document based databases rather later than earlier so we had a slight wait there. Then again, every time the did include a feature it was just bug free and worked like a charm so this was allright as well. Overall: It took me some time to understand the scope and approach of Tableau. During this time i was confused and sometimes frustrated as It was hard to get static reports out of tableau. Once however I understood the magic behind it (well actually it wasn't Tableaus fault, but just me being stubborn) a whole new world of analyzing data opened up. A Magnificent, splendid, dynamic and playful way of getting answers from data and a completely new way of thinking questions to ask from my data. If you do not have to create static reports which you want to mail daily to a bunch of people but want to explre the secrets your data holds This is THE tool. Definite recommendation. Pros: I have tried many ways to organize my files, especially my data for work. I had tons of trial and errors with different software. I tried Tableau and I have been using it ever since. Tableau lets me store my files and so much more. Tableau allows me to view my data in a way that I wanted it to be shown, organized and sorted. I can access different files using cloud and data warehouses. No other software allows me to merge two different data and viewing them as one except for Tableau. And because my data are to be shared with most of my co-workers, it allows me to do just that. It is amazing how easily everyone in my team can access the files through online and server. Another great thing about Tableau is its availability on iOS, Mac and windows, which increases the ease of my team's accessibility. Cons: Tableau is great but it really was confusing at first, especially without any help or tutorial, the software had too many functions that it can take time to be able to learn a single task in it. 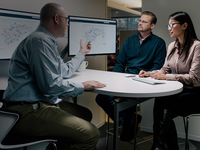 A helpful solution is that Tableau has a help area where frequently faced difficulties can be answered and since many has already been using it, asking for help from others was not that hard. It was not that difficult to learn the functions of Tableau. Pros: I have been using Tableau Desktop for over five years now and I still get excited about it. First, Tableau is so easy to learn and use--the intuitive interface allows even first-time users to create amazing visualizations. Second, Tableau is a time saver. What used to take me weeks now takes days and what used to take days now takes minutes. Third, Tableau is versatile. There are many different chart types available, and with the ability to tweak everything from size to font to color, your imagination is the only limit. Fourth, Tableau is always evolving and improving. With each update, Tableau adds new features and capabilities that continuously make my job easier to perform. The software is capable of connecting with data in many different formats from spreadsheets and SQL to PDF's and spatial files, making it useful for any field or company that works with data. I could go on and on about the benefits of using Tableau, but the best way to understand my enthusiasm is to try the product--it speaks for itself! Cons: Sometimes large data files can take several minutes to load. Tableau allows for the creation of extracts to speed up the process, but the initial upload still takes time. Tableau also does not have an auto-save feature, which has caused me to lose work on several occasions. Overall: Tableau has allowed our office to look at data in new ways. Whether we're using it for data exploration or dissemination, it makes the information easy to understand and use, even for newbies. In the past, we used spreadsheets and PDFs to share data with various constituents, but they were dense and only offered a static view of the data. Now, with interactive dashboards, end-users can not only search for the exact information they need, they can also see how it fits into the big picture. This capability has led people to ask more questions and actually get excited about data and assessment. 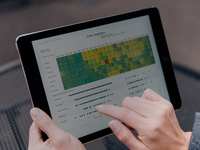 Tableau allows us to answer those new questions quickly and accurately than before. Pros: The easiness on creating simple reports don't obfuscate its power on creating complex dashboards. If you want to create a simple bar graph that shows your sales amount, you can do it easily and quickly, but it doesn't take out the tools and mechanisms that allows advanced users and consultants to do more, like creating complex non-existent (not ready-available in the tool, but possible) charts like exploded bar charts. It supports formulas and also have a very good engine for it, as you can define one and reference it by its name wherever you need. Cons: A common problem that takes place inside large companies lies on the difference between how we think Tableau looks for data and how it actually does. At one of the cases we have SAP Hana as a database with its views as data source and Tableau as the reporting tool. Some of our dashboards have been stated as "slow", but we figured out that the problem was not on the columns that was available and being used by Tableau, but in the other columns. The Tableau doesn't ever create the same SQL as we are expecting for a situation, it has a complex way to determine the better SQL for the best user experience. Overall: I am an analytics consultant and used to work mostly with SAP BW (Business Objects, Business Explorer, etc), Lumira, and Qlik Sense. My first contact with Tableau was very good, I've learned many things in a few days, it's very easy to use and also very powerful. I'm happy in working with this project because Tableau makes my experience much better, I'm liking it. Creating Interactive Dashboards and Storyboards is an awesome way to tell a story with the data - Great for presentations! While you can have only limited developer licenses but pretty much anyone in your organization can view or even interact with Tableau reports on the server - which is very nice if your audience is huge. Easy to export data/reports in Excel and PDF. Cons: Not much flexible for numeric/tabular reports, if you need a BI Tool for Finance reports - you really need this part! If you are building a tabular report with numbers you will miss few very basic and must have things - assigning row numbers. There is no such feature to append row numbers. In tabular reports, your hierarchy will remain fixed for every section. You can't have 2 rows in section and 3 in other. All secitions will be rigid. Overall: Anyone will be able to make Pretty visualization without much prior experience and can decipher stories underneath data. It was really easy for me to pick up the tool and get on the speed. Really like this BI Tool but it does have its limitations. Great for visualizations but if you want a BI Tool for numeric/tabular reports especially for financial reports - you should probably consider some other tool. With that being said, its totally worth the money for all other BI needs and seriously the best BI Tool available! Pros: Tableau is the software I use most (outside of Excel). The software's visualization tools are nice, at times amazing. Tableau connects with every data source I've ever needed (with the exception of one problem). The interactive capabilities and Tableau Public make for a perfect fit for a beginner to intermediate data visualizer. Advanced data visualizers probably find the functionality somewhat constraining, but that's one of the benefits of the software. Tableau is more than just a supped-up Excel graphics system. The analytical capabilities, although not best in class, offer all the basic calculations that most users will ever need. Cons: Tableau is limited in its analytical capabilities. Tableau is working on making its use of R script more user friendly, although this requires the user to know R. Tableau's graphs are also somewhat limited at times, and Tableau for some reason takes pride in limiting its options (it apparently knows better than the user on what graphs are useful). 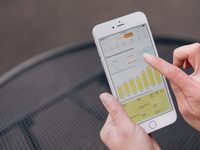 Overall: I get real-time data visualization from Tableau Software and a platform for posting cool and useful data visualizations without having to purchase a server. Pros: I'm a K-4 public educator who uses Tableau to analyze and display network-wide student achievement data. As the literacy director for six elementary schools, I analyze scholar data on a daily basis. I primarily use Tableau to display English quiz results for each of my schools to compare and contrast performance by question and by standard. I appreciate the ability to categorize data (by school, by section, by question, by standard) and to easily sync it with our data uploading system (we use Illuminate). Displays are easy to read and easy to implement -- overall a pleasant user experience. I really like how you can create workbooks on Tableau that will auto refresh whenever you open them. This is SUPER helpful to me considering I analyze data daily. Given that I work with multiple schools across multiple grades, the filtering options that Tableau offers are also very helpful to my work. I also appreciate that it's free, even though I'm not the one making all the high level budget decisions. Cons: It took me about 2-3 hours of perusing the internet to feel comfortable using Tableau. Perhaps they offer user support resources but I did not have any access to them. It's definitely not the most self-explanatory software out there, and I wish there was an easier way to either train myself on how to use it or read articles/watch videos that could quickly help me learn how to use it efficiently. Pros: Tableau makes creating visually stunning dashboards and info-graphics relatively easy. You start by connecting to a data source (SQL database, Excel flat file, etc.) and then using various tools to present your information and analytics in a graphical way that's easy for your audience to understand. It supports a great deal of data input formats and offers a lot of flexibility in how to analyze and display information. Plus, the visualizations you create can be static for delivery via a rendered format like PDF or PowerPoint or published on the web for an interactive experience. You can present information at a high level and let your report audience drill into to the details. Cons: There is a bit of a learning curve. I am a fairly good self-learner and when I first start using new software. I like to tinker and experiment before diving into documentation and manuals. Tableau is not difficult by any means, but some of the tasks you want to accomplish are not going to be obvious in terms of how they function. For example, I struggled at first with figuring out how to add subtotals to some data I had brought in. Of course I was able to readily do so once I researched via help files but that's the sort of thing I would have thought to be more intuitive and easy to figure out on my own first. Overall: Truth be told, our company was only given a trial period for Tableau so I did not have an opportunity to fully explore the software as much as I would have liked. However, during the duration of the trial, I was able to quickly build some useful analytics. An example was an interactive map of the United States which allowed me to show location based data along with sales information for the line of business I support. The map displayed color coded regional information which could be easily drilled down to mortgage branch locations with hover boxes showing production data. Although the trial was for evaluation purposes for the time being, in the short amount of time I had to use the software, I could tell that Tableau would certainly be a viable application to significantly improve and streamline the way our department does reporting. Pros: I use tableau as an analyst every day and I like the ability to create rich visualizations from different kinds of datasets. If you are of a creative and problem solving mindset there is almost a limitless set of complex Vizzes that you can design using Tableau. Cons: I think Tableau can be less than intuitive. While there is almost unlimited capabilty, often it's difficult to immediately understand what is required to solve your problem. It's good however that there is a huge customer base and forums that can help you. It's often better to solve your problems in the database rather than with Tableau. Use it as the Viz layer as much as you can and try to limit usage of it in doing calculations, especially with big datasets. Performance can degrade. Overall: Streamlined our reporting - provided informative dashboards to our executive team and staff. Pros: Really, really powerful data visualisation tool. You can take data from virtually any source and join it together. Then you can make visualisations, dashboards, and stories from all of this data. Cons: There is a steep learning curve to properly learn the software. If you have previous experience with BI software, it may not be as difficult. But it is definitely much more difficult that putting together a graph or pie chart in a spreadsheet. Overall: We did not have a proper BI tool previous to Tableau. We were extracting data to spreadsheets and cross-referencing multiple spreadsheets to generate our data. Comments: A special mention should be made about their student policy. I started with the software because the company gave me a one year access while I was in school, and I brought the knowledge I acquired with it to my employers. It is a great way of promoting the software and giving students a great tool for their resume at the same time. Pros: Tableau's productivity suite allows you to connect it to all data sources we're already using in a matter of minutes. This maximized our analysts' productivity, moving their tasks from the mostly mechanical to the analytical. It is incredibly easy to use; it is intuitive even for non-savvy users, and doesn't took time, programming knowledge, or expensive training for our team to get a grasp on it. Its collaboration features facilitate group analytics, and at the same time ensure that all team members are on the same page. The best part about it is the devoted mobile app for different devices, which allowed our sales representatives to work from wherever they are. Last, but not least, their tech support team is unmatched in service and follow-up. Pros: This is the best in class visual display tool. I really had everything and was built from the ground up to handle data visualizations. Cons: Can be a steep learning curve for some of the more advanced features. Calculations can be tricky and aren't incredibly intuitive out of the box. Training is best for those. The pricing model to share proprietary data is steep unless you go with tableau reader which isn't always possible from a privacy perspective. Make sure you investigate this before purchasing with a representative. Overall: Tableau has helped us put our in-house data that was originally in PDFs into an amazing filterable dashboards for public consumption. Pros: Tableau is an incredibly robust BI tool. 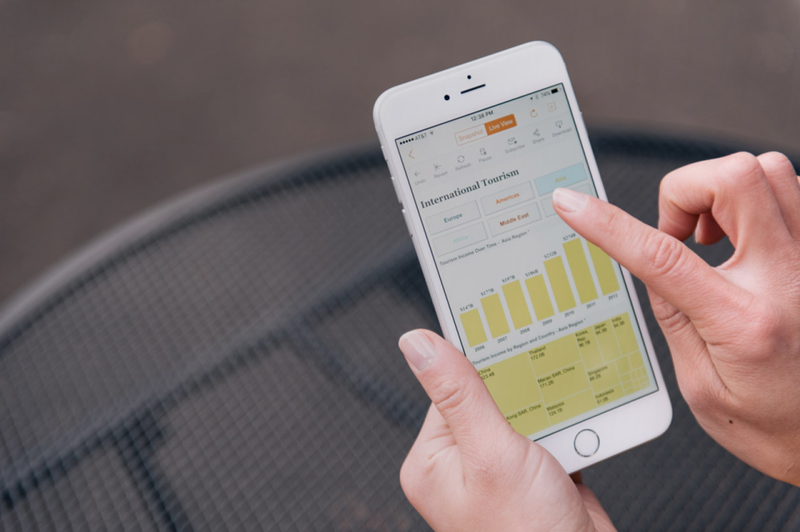 Drag and drop functionality and built-in connectors to a wide variety of data sources make it a breeze to get up and running while creating beautiful visualizations that can help your business make intelligent, informed, data-driven decisions. 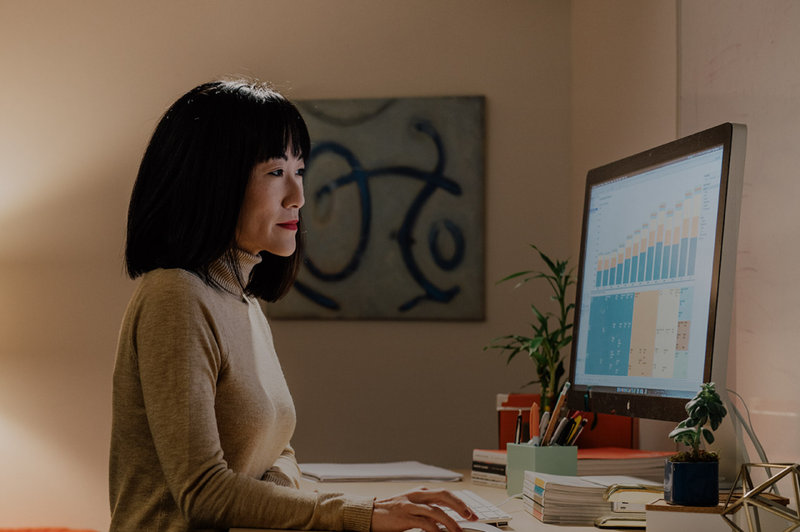 Whether you are new to BI tools or have years of experience, you can easily use Tableau to help you get up and running with all of your data needs. If you aren't sure how to best visualize your data, Tableau will give you recommendations based on the type of data you're using. Cons: While Tableau can be easy to start using, it can definitely feel overwhelming at times. With so many connectors and different charts and graphs it is easy to get lost when you are first starting out. Some of the calculated fields, while incredibly robust, feel like you need a PhD in order to figure them out. Once you get past some of these hurdles, you'll never look back though! Pros: As someone in my organization who frequently analyzes our data and initially built some of our team Workbooks, I love how incredibly detailed the customization and building can be! Cons: It takes a lot of time to thoroughly learn how to build workbooks and to understand the "language" of Tableau on the backend. When I transitioned into the role where I needed to construct some unique views and workbooks for my team, the training time investment was more than I anticipated, and I still learned as I went. Be sure you have patient instructors and give your Tableau experts the full time they need to feel confident - this will allow them the freedom and comfort to "play" with more data! Overall: Tableau has taken our organization into whole new seasons of innovation and effective leadership! It's helped all of our team members to see the value (no puns intended) of data, no matter their role or position. It's also inspired many team members to ask more questions, which leads to richer data and more helpful visualizations to help us grow! Pros: For Data Scientists and advanced users, Tableau is the most efficient and powerful. Tableau offers different kinds of data visualizations and connectors to load once data. Cons: Tableau is for sophisticated users. It requires training to get the best out of it. In our company we hired an experience consultant, who trained us and worked with us, so that we learnt all kinks of the tool. Comments: We used Tableau to combine over 2 million lines of health claims data from Excel spreadsheets with approximately 85 data points per line. Tableau made it possible for our team to compare each line of data and locate the specific lines of data that indicated problems within the coding for health benefits. After locating the issues and fixing the coding, we used Tableau to compare the data again and validate that the potential issues were corrected. Without the use of a tool like Tableau, our comparison process would have taken weeks longer, and would have been less effective. Pros: Tableau is a very intuitive data visualization tool. We use both the desktop version, for report development, and Tableau server for publishing reports for our staff. The tool is very flexible when it comes to data connections - you can connect to almost anything. The interface is very clean and once you get the hang of dimensions and measures you will be on your way to becoming a data viz master. Tableau has come along way with their ability to join data sources. This has been a major area of improvement in the last release. Tableau has a huge online support community and the few times I have had to use their customer support it was exceptional. Cons: There are times I wish you could do more statistical analysis in Tableau. They have some built in components for this, but in my opinion this is one of the weaker areas of the tool. Overall: This has become a go-to reporting solution for our team. Pros: Excellent tool. Once you get by the first interface learning curve, it is easy to learn, very well documented and simple to do the basic stuff. If you want to get more serious, of course it is harder, but I was able to do things I deemed were very complex with not so much work, thanks to Tableau. Besides, since I am an academic researcher, they have a generous free license program that allows me to perform my research without spending all my (not-so-abundant) resources, such as with statistical analysis softwares (unfortunately...). The visualization possibilities are most helpful not only to analyze, but to synthesize sometimes, so it works as a means and an end at the same time. I am very impressed and thankful to Tableau software and the community that helped me get through with Social Media Analytics for my PhD. Cons: It is resource intensive, so you better work on a good (hopefully desktop) computer. Specially if dealing with big data. Also, sometimes the interface goes a little crazy and you have to load and unload to get the visualization right. It crashes with some frequency, but I have never lost much of the work thanks to an auto-recovery tool. The data import may feel less intuitive (as compared to the worksheet interface) and I had problems importing *.csv files and converting date fields. Overall: I've worked with Social Media Analytics with Twitter data (and metadata) and it really was a breakthrough tool for that end. Things I was struggling with other tools were almost effortless on Tableau. I really recommend. There are resources online and courses so anyone with enough time and dedication may learn and get things done. Cons: Don't be fooled by its clean interface and simple online tutorials. If you want to do some interesting stuff with Tableau, it's going to take some patience and know-how. There's a wonderful online community of people who are willing to answer your questions and offer examples, but at the end of the day, Tableau projects tend to take some TLC to get to the finish line. Pros: We adopted it for our internal report and dashboard development, to monitor clinical data and key performance indexes. The Tableau server was well integrated with out clinical database. It provides rich functions of easy report authoring, configurability, security control, and automated data extraction. Arguably, Tableau is one of the leaders in the area of business intelligence tools for many aspects. Cons: Tableau Desktop for authoring report in local machine used to be slow when it is loaded with heavy data. It is stable when it is in authoring mode, but used to crash especially when it is connected to large volume of data in remote databases. Fault tolerance should be improved. Overall: Our company has pretty big needs of data analytics and visualization with more than 100 clinical data analysts. Tableau is an expensive solution, but it is worth to invest it to deal with all the variety of development and maintenance needs. Pros: Tableau allows you to visualize your data, whether simple or complex, in nearly limitless ways. Although the software taks some getting used to, once you have a hang of the bassic features, you can set about automating most of the routine reporting for your enterprise easily. Also it is a breezeto share your data and the visualizations are rendered faithfully on to diparate devices and different platforma like iOS, Android,Windows etc. Cons: Uploading data from certain data sources can sometimes get very, very slow. Also, the software is not the simplest to use and the "Help " section for most topics offers precious little. However, this minor problem is easliy sorted due to the vast, high-quality user-created content and tutorials available online. 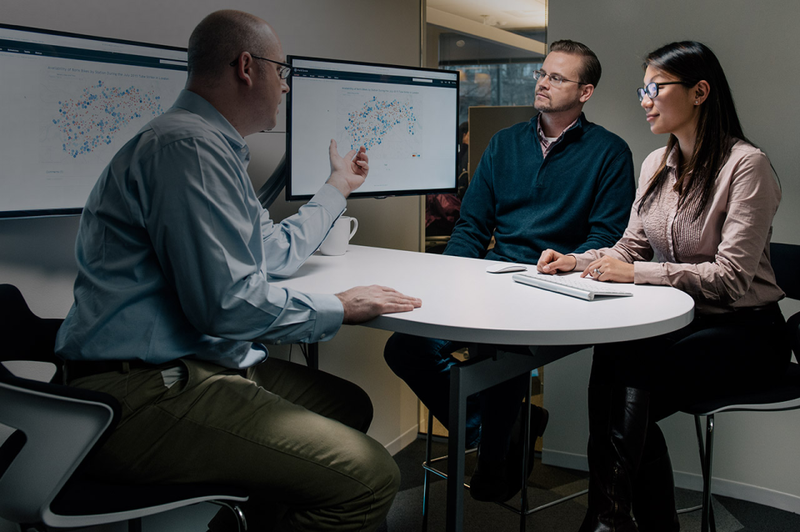 Overall: Tableau offers comprehensive Business Intelligence and Data Visualization features that most organizations will find sufficient for their use. The somewhat steep learning curve is eased by the availability of good-quality online resources. The compatibility with various devices and Operating Systems makes the software even more compelling. I saved lot of my time using this business analytics software, plus, I enjoy using it! Pros: The application is very easy to use and understand. I had started to use Tableau Software a couple of months back, the interactive dashboards are very clear and help us understand what the figures mean, giving us an overall picture. There are different types of customizable charts and tweaking them is a lot of fun too. These kinds of visualizations are very important, especially while you consider the analytics, it keeps the team interested and helps in removing unwanted assumptions. You can connect with any data source and it improves collaboration by facilitating group analytics. You can group data by using the bar type graph options. The tool enables superimposing of information between related variables. You can create coding queries without much technical knowledge. They keep updating features to catch up with the current standards and requirements. Cons: I can't see the autosave feature anywhere, which is a very major drawback. Also, the application takes time to load sometimes. Pros: Tableau has been the talked of the town because of the ability to create dynamic visualizations on the fly allowing no disruption when conduction exploratory data analysis. This allows the presenter to engage his audience/senior management to address questions immediately. Compared to other visualization tools, Tableau is relatively easy to pick up. With simple clicks,drag and drops, a business analyst can create a dashboard in a short amount of time. My favorite feature would be Pages as it allows the analyst to observe how the data changes with respect to time. Tableau also offers a variety of visualizations, dashboard and story features. The bubble plot is by far my favorite! Cons: The price for the enterprise version of Tableau is expensive. Taking the certification exam to get license is expensive as well. (However, there is the public version that is available for free). In addition, do not bother to contact customer service if you are not a corporate client. They will not entertain your questions. Having said that, the tableau community is an extremely resourceful page and there are a few good tutorial channels out there. Overall: My overall experience with Tableau has been a positive one. I liked how I could make connections to MySQL database as well where I store most of my data. Also, Tableau works great with conventional excel files such as xlsx and csv. If you are an advanced user, Tableau works with geospatial files too. I had a lot of fun creating maps in Tableau. My boss was very impressed with the quality of the maps and how it was so easy to pick up an insight with the help of Tableau. Pros: I love that it's easy to integrate mostly clean data and then start to build formulas to visualize data. It's a tool that tremendously helps the data analyzation process. While at university, Tableau was always held to the gold standard for any and all data visualization tasks. Cons: If you're not a novice at data analysis, you understand that Tableau was never meant to be the one source for backend data piping and dashboard visualizations. If you want that, you should look to tools like Datorama. If you're lucky enough to work for a firm that has a data engineering team and you can work with them to pipe data into a dashboard, you'll really learn to love this product. Overall: As my title implies, if you have a talented DBA on your time this could be the tool for all of your data visualization needs. If you're a one-person analyst that needs to automate several dashboards, look to tools like Improvado or Datorama. Pros: We use Tableau to display data and stats to agents. It allows management and agents alike to quickly see how well they are doing or areas that need improvements. Tableau takes data you wish to measure and interpret the information and give individual scores. It is easy to read and understand. From the dashboard you can see a general overview that is fairly easy to understand but also with a few mouse clicks you can see more detailed data and tracking. Its a very effective means to use individual data and collective data to ensure we're hitting the targets for our customers. Cons: The only issue I have is on behalf of our agents. There data is only updated once daily and because their scores are so important in terms of perks, Overtime, etc. they really want to know scores several times a day. I certainly understand the data update time frames. Honestly I don't know if this daily update is set by our IT dept. or within the software, but its not a deal breaker. It is very helpful software. Pros: The slicing and dicing capabilities help you work with huge volume of data with so much of ease that you will never require an onsite reporting resource if you become handy. One of the best tool that not only allow you enormous data visualization options but also allows you to get data from different systems with real simple methods. The drag and drop capabilities are so easy and robust that you feel like you are an expert in reporting product and configurations. At times I feel really amazed with my regular laptop/desktop how I can perform so efficiently where as other tolls really give up. Cons: The learning curve will be stiff because this tool has so much of capabilities if you are not using them then it's not value for money. The security of the reports might be concern once published publicly. I wish they have better offline working capabilities. Overall: A lot of business units produces huge volume data and they come from different region and location for higher management it is really inefficient to view and take major decisions on them. The old reporting systems are efficient but they lag enormously on the visualization part. With help of tableau we can achieve a lot of granular data but represented in state of art forms. Pros: Tableau is a powerful data visualization software, and those with a great deal of knowledge can create truly remarkable dashboards (Google "Tableau Zen Master" for some examples). It's fairly easy to make simple charts such as a histogram, pie chart or bar chart. Tableau also makes it easy to import data from a wide variety of sources, including Excel workbooks, text files, SQL databases, MS Access, etc. There is an active Tableau community online, and it's easy to get your questions answered when you need help. The company's own support services are generally pretty good, too. Cons: The learning curve is somewhat steep, and I have seen many new Tableau users quickly become frustrated when they can't figure out how to get their charts to look the way they want it to. In my opinion, some features that should be front-and-center are hidden away in hard to find menus. That being said, there are a lot of online resources to help you work through any issues. Also, the cost of the software is quite high on a per user basis. Overall: This software helps me and my colleagues upload data from a variety of different sources and create beautiful visualizations fairly quickly. Cons: Nothing really, initial versions (2 years ago) had fewer features, but now it has everything one needs to create a great dashboard. However, Simple dashboards are easier to build, the more complex the dashboard idea gets, the harder it becomes to make and not many resources are available for the challenging issues - needs lots of experimentation. Pros: Extensive learning resources are available, through the platform and with its community of users. Tableau is excellent for preparing reports, data analysis and visualization, and customizing dashboards. It can ingest a variety of data sources, like CSVs, XLSX files, and connect directly to SQL databases to query and present massive datasets. It is extensively functional, and it puts out pretty decent -looking reports in PDF format for clients or execs. Cons: The limitations of Tableau are really more about the cleanliness and organization of the data sets with which you're working. If everything in the database is tidy, Tableau is excellent for importing and exploring datasets. It can sometimes freeze or crash, and refreshing data can take a long time when you're working with complex dashboards (like, 2-3 hours). The Public (Free) version of Tableau is great for learning, but everything you do in it is public (which is a smart way to get people to buy the paid version, while also incentivizing learning). Overall: I've used Tableau at mid and large-size companies for analyzing and visualizing data. Getting up to speed on its use and application took a few weeks, but I've been impressed with its functionality, reliability, and capability overall. It can put together good looking dashboards and PDF exports for client-facing purposes, and internally can be used to host read-only dashboards to gauge performance or insight. Pros: The functions are easy to create and implement into your dashboard. The columns of your dataset are organized between categorical and numerical in a clear and concise manner. You can upload your projects onto Tableau's website onto your viz profile. The ease of creating formulas is due to their autocomplete feature. Cons: There are some issues with the licensing features. Often the software after an update may require you to confirm your current license. There are some aspects of the software that aren't straight-forward. For instance you need to make a special file in order to upload your dashboard onto their servers. There isn't a clear way to use Tableau's webservice with data models created in a .py file making it difficult to view your dashboard without using Tableau's website. Pros: The overall customer support of tableau is really amazing. If one gets stuck in a functionality, there are plenty of resources to get a quick and easily implementable solutions for instance tableau communities on google as well as you tube videos. This software has brought a positive change in the field of data visualization and for taking quick business decisions. Cons: Despite of having many visual solutions, the server space provided by tableau has very limited options and some data refresh issues. There are some usual bugs which need improvement. For instance, if one wants to see the tableau dashboards using different screen resolutions "its doesn't seem possible". There is no automatic way by which it could detect the screen resolution of the system and adjust accordingly. Comments: This software is by far the easiest BI software I've used (tried Zoho, Excel Pivot tables, Microsoft BI, and many others). It's a slam dunk for drag-and-drop analysis of lots of things. But if you want to do more complicated analysis of what you're looking at beyond face-value graphs of plotting X and Y axis, you're going to need to learn how to perform some custom coding. Fortunately, there are LOTS of free guides available through community forums and online blogs. But it takes time to read those, and unless you're trying to do exactly what the examples show, it takes quite a bit more time to adapt said examples to whatever is specific about your scenario. The price isn't cheap at something like $1000/yr, so it's no small investment. But from every other software I've seen, I'd buy this over the others. Pros: Super simple drag-and-drop interface for plotting out info. Massive online community forums packed with information and examples Huge amount of content produced by others on various sites (blogs and such). Ability to quickly open someone else's example worksheet to get "hands on" with the data from their examples (as opposed to just reading about it). Cons: Like every other software I've seen, there's no escaping the need to code custom functions for complex or deeper analysis The price tag is fairly high - likely cost prohibitive for a small business who is just looking to try and analyze data that their POS software won't do for them, or that Excel Pivot tables just can't quite seem to cover. Pros: We were able to pick this software up and run with it pretty quickly, which was great. We use it to build several dashboards and report that are shared internally. We've directly connected it to several SQL & Access databases to achieve this. It's pretty user friendly and everything we output from it is pretty slick looking. The "server" version is also nice as it enables us to publish reports to the web and share within the company. These server versions are interactive but not editable to ensure data accuracy when shared. No risk of someone trying to get creative and destroying your work. Cons: There are a lot of updates that take up some of our IT resources. The support is helpful but can be rather slow to respond. It can struggle with larger datasets. There are some workarounds, but it's not how they explained it during the sales process. Pros: The guys at Tableau are doing a great job servicing the data field. I use Tableau on a daily basis to create appealing visualizations for reports and to support supply chain processes and decision making. The software allows me to conveniently import large data sources and work with them within the interface. While pre-made templates aren't the greatest for my line of work, it is very easy to customize them and/or start from scratch. Cons: Data visualization tools aren't easy to learn as a whole, especially for those without experience with similar software. While the case with Tableau does match this description, there are many great tutorials provided by the Tableau team and its vast peer network. Comments: Overall, a very good product. It has a free trial license, so I recommend a trial to anyone interested in data visualizations. Pros: I am a longtime user of Tableau an I think I should update my previous review. Some years ago, Tableau was already a top-contender. Starting from this position, it has enlarged the list of compatible databases, and the capabilities to mix and match data from different sources. In the last weeks, Tableau software has changed is pricing scheme, and now it offers a reduced-price "viewer" license. In the past, you were forced to buy "the more costly "publisher license" even fro viewers. Allows for the creation of very aesthetically pleasing, yet useful dashboards for your stakeholders. Pros: Tableau is a very effective way to gather, analyze, and present data to stakeholders. As a user, there are many options database options that Tableau can read from. Tableau offers many different types of graphs and visualization techniques. There are even formulas that allow for data manipulation within Tableau that is not reflected in the original source. Tableau is also so widely used that finding educational materials on the internet ie YouTube and forums is very simple. Once a user has a basic understanding, creating professional dashboards that can be presented to the end user is quick and simple. Cons: Though Tableau has copious options, features, bells, and whistles, it takes some getting used to. The program is user friendly, but setting aside some time to learn how to effectively use the features is strongly recommended. Pros: A MUST tool for anyone who is in the field of data and statistics. Tableau is perfect for dashboard creation and dealing with different sources of data in order of visually display meaningful finding. Drag-and-drop can be used for easy graph creation. Tableau offers a wide-variety of data-analysis features that make the experience of data analysis and data visualization much smoother. Cons: It can be a bit overwhelming at first, but Tableau is much easier to learn with all the online tutorials that are available than most other software of its class. If you are a student make sure to get the student version for practice, which is free as far as I recall. You'll have to provide proof of enrollment. Took our data visualizations and analytics to a whole new level! Pros: One of the most powerful tools that I've used. It has helped us answer so many business questions. You will never go back to Excel. It does everything Excel does and 100 times more. The power of being able to connect directly to your database, live, and quickly build dashboards and trends is amazing. Cons: There is a steep learning curve in understanding how calculations work, levels of detail, etc. But if you know database structure and are able to make charts in Excel, you'll quickly figure it out. Overall: Completely changed the way our company uses data. Increased visibility and ability of managers to accurately see what is happening in their areas. It makes it easy when business questions come up to quickly build a visualization to get at the answers. Pros: I was having a hard time with our ERP that needed to generate reports, then messing with them on Excel so that I could get some graphics and valuable data to make purchasing decisions, since implementing Tableau I have my Dashboards published and I'm able to access data on the go. This has impacted my work so that we are making better decisions when it comes to purchasing and procurement. Cons: I only think that the learning curve is pretty steep, not that it's terribly complicated, but you need some patience and skills to get the reports you need, the availability of tutorials and resources online makes this way easier. Overall: Having my dashboards published and being able to get to the most crucial KPI's when in a negotiation with a vendor, is what has given me the most value in my current position. Also, being able to review the productivity of my procurement team is key to my day to day operation. Pros: Intuitive to pick up. Lots of control in formatting and adjustung without having to edit every single cell with some picayune, obscure widget or code. Beautifully designed graphical choices, making the final presentation easy to develop. Online's extract and updates scheduler removes the need for the reporting server layer. Responsive technical support. Cons: Working with nulls is tricky. Creating calculations is "so easy" that incorrect aggregations can create errored results. With 10, alot of my issues with the software have been resolved. But this is not a heavy hitter for deep statistical work. This is a final presentation layer, so the back-end build needs to work with the business to define the views which will be pulled into Tableau. At that point, the end user (who is not a statistician or analyst) can really play around with an appealing, responsive interface withrilldown capabilities. But "self-service" analytics...it really isn't, not if your data is messt, or requires transformative work - which most does. Tableau needs clean data to work with. Recommendations to other buyers: Tableau works off cleaned data. Its transformation capabilities are limited and even though they have SQL support, it appears it is MySQL, with limited common expression capability. Yes, they have data blending, but that is still easier to develop on the backend. That said, once the backend is built, the business owners love the interface, the speed to learn, the responsiveness, and the flexibility with which they can answer their own questions. Architecturally, the Online is the easiest cloud solution I've found. Implementing the "reporting" layer is a breeze. Scheduling updates nd receiving failure alerts - intuitive and quick. No messy vpc, ec2, blah blah pull out your networking textbook to figure out how to make a frickin connection. Just build your basic workbooks with views linked to data sources, and "publish.". The popups guide you through the rest. Pros: Visualizations are very crisp and appealing to the eye, Tableau has one of the most professional and clean looks on the market. Tableau has the ability to handle large datasets (millions of records) and join datasets from multiple data sources. Sharing and monitoring usage of dashboards is also a great tool. Cons: limited to the types of visualization, cookie cutter out of the box features require complicated workarounds as tableau isn't open source to manipulate at will. Formatting can also be a challenge and take as much time as building the visualization. Overall: Tableau allows me to tell a clear story with data visualization and create solutions(dashboards) for my partners to access at their fingertips. Cons: when saving many times it gives you an error and does not allow you to save the changes made, losing all the information already made, since you do not have an Internet connection you can not update the data, if you change the name of the database you are using it recognizes you and eliminates all the added data. Comments: I enjoyed learning Tableau and working with it across different sources to create dashboards that really help visual people be able to see and understand the different data on hand. Data is non-tangible and can be a challenge to understand. This is a great resource across industries. Such a technology cannot go unnoticed or unrecommended. Pros: Ease of use, availability of instructional materials from beginners to the learning community in videos and in forum format, retrieving data in raw format for Excel vs. sending IT a request to add a report into a system, great support from configuration and onwards, looks beautiful! Cons: On a minor scale, there are some quirks between updates that kind of "update" what you're working on so sometimes the project gets glitches. Can't wait for real-time connection online to data sources aside from the scheduled refreshes. More customizable elements for the design. Pros: Tableau is one of the best products I've ever used! I'm so impressed with its functionality and how easy it is to use. It's intimidating at first since there are so many features and functions, but once you get the hang of it, it's incredible and so powerful. You can pull any kind of reports and measure any kind of metric possible just by pulling whichever data points you want to analyze over. It will even suggest charts, graphs, and maps based off the data points. And everything is immediate! It's a very impressive tool. Cons: There are really no cons. It's a bit on the pricey side for my organization, but the ROI is immense. It's worth every penny. It can also be a bit of a beast to figure out at first, but they provide a ton of training videos and with a bit of practice, it becomes really easy to use. Overall: Overall, we're able to see an incredible amount of data, metrics, and analytical breakdowns within seconds. The features and functions are very impressive, and the amount of information you can glean from the data reporting is powerful for any company. I would highly recommend this product to anyone, because any organization would benefit greatly from understanding their data. Pros: Tableau is a powerful desktop analytics software which allows the most customizable and sophisticated analytics I've seen after having used Qliksense, Qlikview, and Domo. Almost anything you can image you can create, including sophisticated drill downs, color coding, correlated charts, and more. As I started learning Tableau I was consistently impressed by how deep the functionality of the product is and how I was able to create compelling, interactive visualizations to allow stakeholders to self-serve analytics. Cons: Unfortunately the power of tableau brings a lot of complexity. It's not the type of software you can just click around and figure out so people who use it regularly do need to do a significant amount of training, and depending on their software proficiency the learning curve can be quite steep. The product, as a desktop software (I didn't use the online version), is starting to feel dated: you still have to save files and the software does crash every so often causing lost work, and you still have to deal with the annoyance of file management. 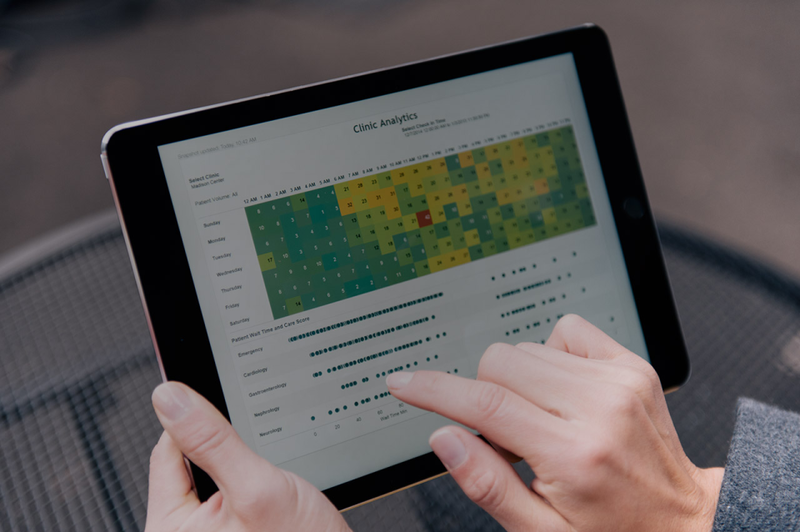 Recommendations to other buyers: If you need highly sophisticated, interactive, customizable visualizations and a powerful desktop analytics engine, Tableau is becoming an industry standard. Ease of use needs some work though. Pros: It is a very versatile program, it allows you to make different presentations, from simple graphics to multivariate maps. It has the possibility to connect to different databases, which makes it a very powerful tool.